It’s obvious that I love GOLD, but I was so excited to see these from T+J Designs a few weeks ago on their instagram account. They were on sale for $6! I obviously had to get them and I love them. 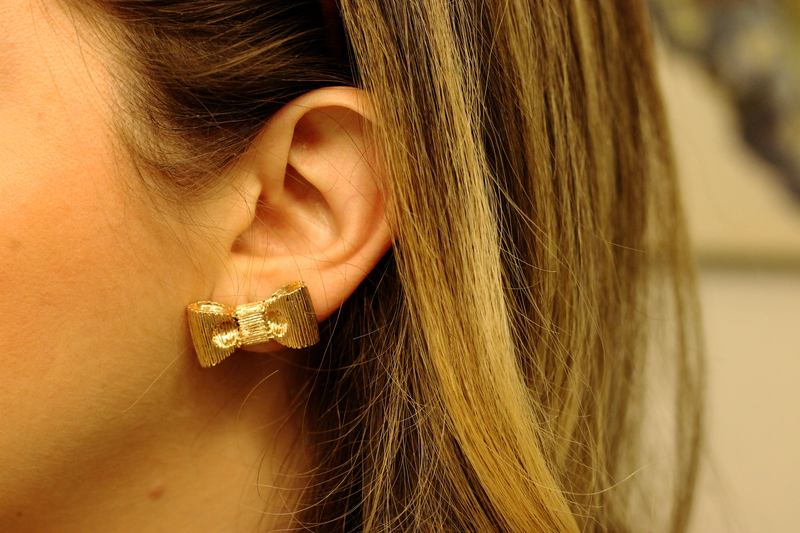 They look super similar to Kate Spade bows and are the perfect size. I love them! They are still on sale, but are $10. Get your pair here. Categories: Good Looks | Tags: gold bows, jewels, sale jewelry | Permalink.